#1 New York Times bestselling author Spencer Johnson’s NEW ValueTales® is now available on audio! 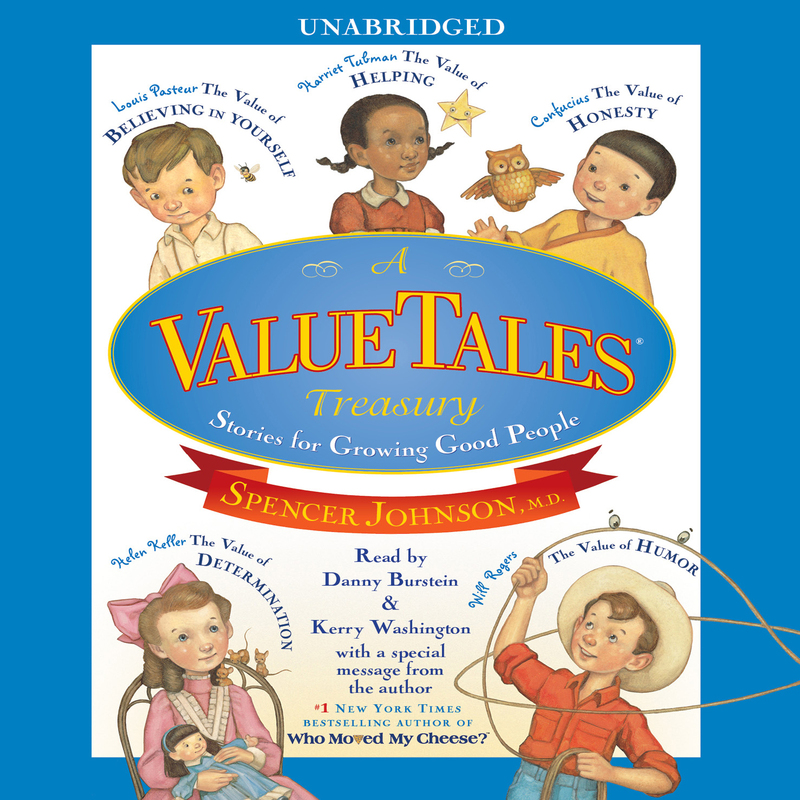 Before #1 New York Times megabestselling author Spencer Johnson wrote Who Moved My Cheese and Peaks and Valleys, he created ValueTales®, a series of storybooks that encouraged children to grasp important lessons told through the lives of famous figures. Most importantly, he did it in a way that children found irresistible. Now, Dr. Johnson has teamed with Simon & Schuster to re-imagine these classic tales in a new format for today’s children. He’s even coined a new term to describe them—to describe them—Imaginographies! The people are real, the events are real, but the stories are told in a fun and fantastic way that lets kids get right inside the minds and hearts of famous historical figures to experience firsthand the basic values that helped make them happier, more successful people. Dr. Johnson has collected five of his favorite ValueTales® and edited them to appeal to today’s children. Now, today’s parents can share them anew with their own children, helping them to grow into good people, too—one story at a time!